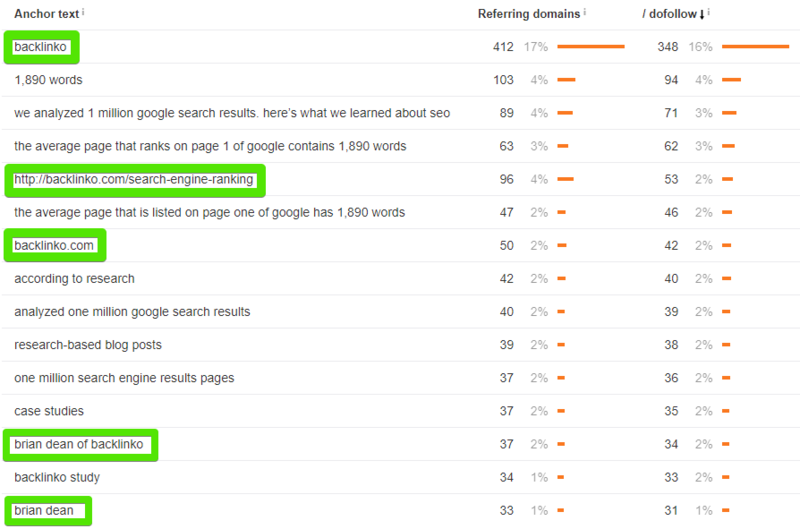 Blog commenting, purely for SEO, was a legitimate tactic that worked back when I started to learn about SEO in 2007 or so. But it didn’t take too long for Google to catch on, and give less value to those links. If you want to post blog comments just for rankings, it’s a waste of time. Connecting with bloggers and site owners. Some of these reasons are better than others. Let’s look at them one at a time and see how blog commenting could be useful. Is Blog Commenting for Diversity Effective? Google uses something like this in their algorithm to help figure out which links should pass the most authority. Anchor text – if all your links are your “money keyword” as the anchor text, it’s easy to identify that they are unnatural. Follow/no follow – A natural link profile consists of a mix of follow and no follow links. Most blog comments are no follow by default, so that takes care of one problem. If you choose any page from an authoritative site that gets natural links, you’ll see a lot of links using these types of anchor texts. Here’s the anchor text profile from a page on Backlinko (written by Brian Dean). I’ve highlighted all the branded anchor texts. In this case those links don’t come from blog comments, but they’re the type of anchor text you could simulate while link building. 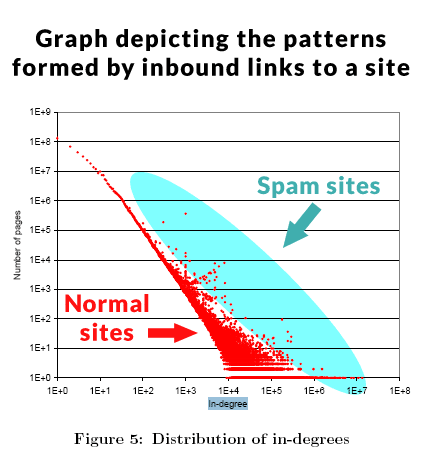 So how important is link diversity in modern SEO? Remember that these basic detection algorithms have been implemented for over a decade. Google has since evolved a lot since them, learning to judge links better based on more important factors than just anchor text, like relevance. Most SEO experts agree that in modern SEO, diversity by itself doesn’t make a huge impact. 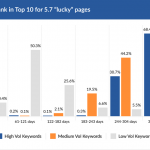 It’s more important if you were engaging in some serious black hat link building practices. However, that’s not 100% proven. So if you wanted some extra diversity for piece of mind, it’s not going to hurt, and could potentially help. Diversity probably isn’t good enough of a reason to blog comment by itself, but like I said, there are 2 other potential benefits that you should also keep in mind. Can Good Blog Comments Drive Traffic? When you leave a comment with a link in it, other readers can follow it. But how many people actually read all the way down to the comments? In some niches, blog comments drive next to no traffic. In others, like recipes for example, readers often look to comments to find ingredient substitutions, see how it turned out for others, and so on. The biggest factor in driving traffic is quality. And I don’t necessarily mean you have to write a huge comment to add value, but it needs to be interesting to readers after they have read the article. Here’s a good example from a Backlinko article of a comment link that I actually clicked myself a while ago before even writing this article. The post was about an SEO strategy. The commenter said he used a very similar strategy, had great results, and linked to a write-up of it. I guarantee almost everyone who finishes reading the article would be interested in an additional case study at that point. The post needs traffic – If you comment on an unpopular blog, no one will see it. Your link needs to be relevant – If it’s not relevant, it won’t interesting enough to get clicks. That’s why I don’t like blog commenting (for traffic) for a specific article. You need to have a lot of content on your site that you can drop a link to when it’s genuinely interesting and relevant. You also want to be one of the top comments (more people will see), meaning that you should be commenting on new posts on popular blogs, not old ones. The exception is if the site uses Disqus comments (which is fairly popular), where good comments can be upvoted. Here’s an example of a comment I made a while back on an old article using Disqus, mentioning a tool I built, which got upvoted to the top of the comments. If you do all this right, expect that each blog comment will send you 10-20 visitors a month in my experience after a potential initial spike. That doesn’t sound like a lot, right? But a comment only takes a few minutes to write, so it’s possible to leave hundreds of comments even in a month. Say you wrote 100 over the next month or two, which isn’t too aggressive, at 15 visitors a month that would result in 1,500 visitors per month. That’s really not bad for new or low traffic sites that are trying to build up their traffic. That traffic will likely last for quite a long time. It’s not the most scalable on demand or effective if you have a lot of traffic already, but it’s a potential motivation in the right situations. This is the most underrated and important potential benefit of blog commenting. If you leave thoughtful comments that engage the author (not just “great post!”), you can get in a discussion with the blogger or site owner. If you add value, they will remember you. Now imagine if you have a few of those discussions over time, then email them asking to guest post, partner up on a piece of content, or any other link building tactic. They’re going to know who you are, and be much more likely to say yes. Outreach is an important part of many of the best link building techniques, and building a relationship so that you don’t have to just do cold outreach is very effective. The commenter shares a real and important problem their facing that the post helped them recognize, and asks for help. Most writers are happy to try to help when someone provides a good amount of detail about their problems. 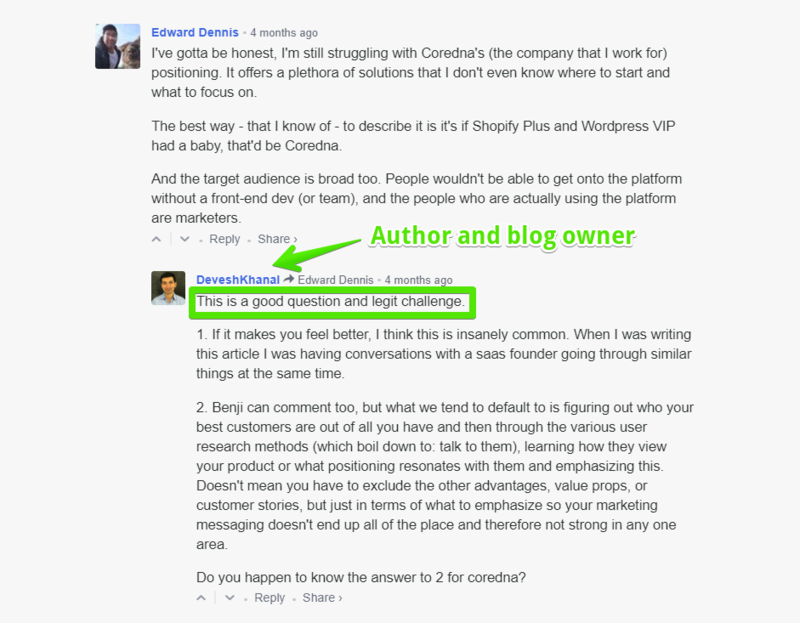 In this case, Devesh (the author) replies with a lengthy comment, and even asks a follow-up question at the end. This is an easy way to continue the conversation and start to get to know each other. Try out a method or technique in a post. Write a blog post about the results. Leave a comment on the original post that outline your result. 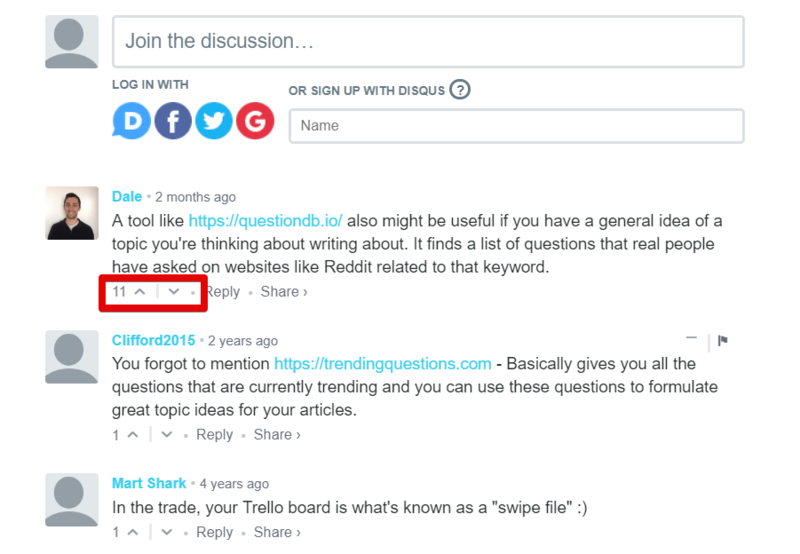 If the original post writer replies (which they usually do), follow-up with a comment or email offering to write a detailed case study as a guest post. A blog comment is a great way to start building relationships with the influencers in your niche, which are invaluable in the future. 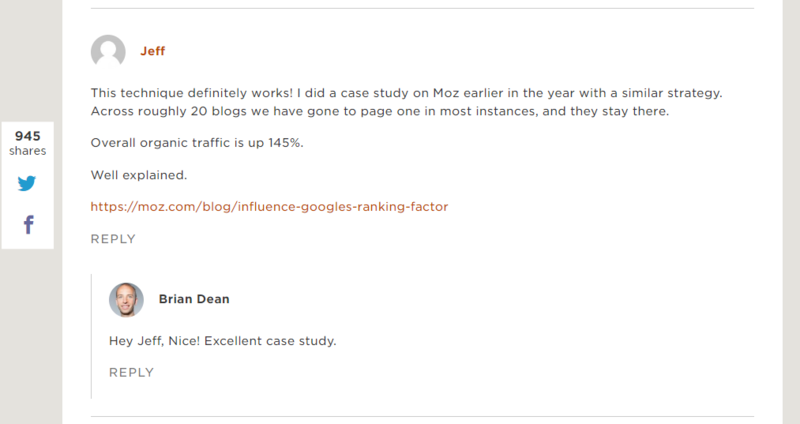 Blog commenting to improve rankings is essentially pointless. 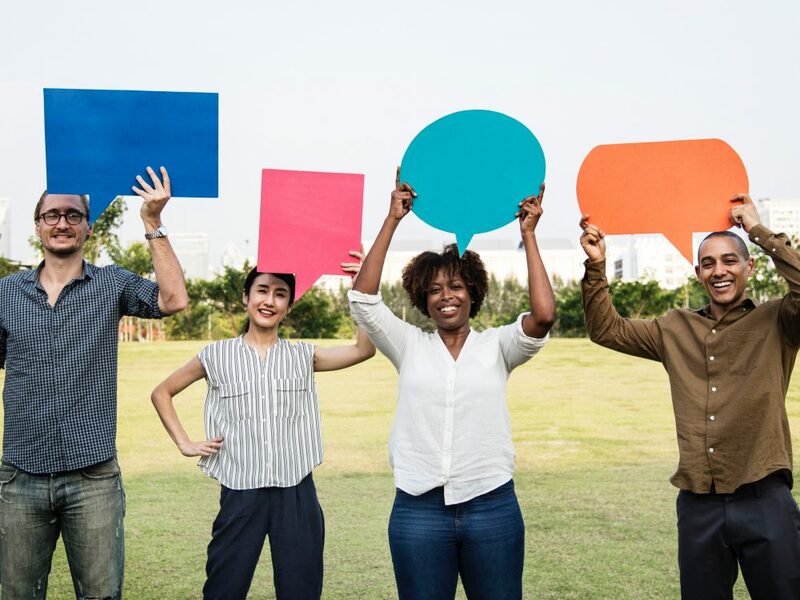 But, we’ve looked at 3 potentially relevant benefits that can make blog commenting worthwhile from a link building and traffic point of view. This tactic is most effective on smaller sites that are just starting to grow their traffic, but can be used in the right situation for larger sites when trying to build relationships with other site owners and writers. They can open the door to more effective links that come from guest posts, partnerships, and more.